We did something a little different this year for Halloween and headed over to Seattle to spend it with Jen, Madison, and Harper. We had all these plans to check out some different events around town in celebration of Halloween. But the kids were playing so nice. And it was raining. And let's be real us adults were enjoying it. So we stayed home. It was still drizzling on and off. But not bad. The kids were pumped! But first. Pictures in costumes. Isn't that just the cutest knight, Princess Aurora, and scary witch you ever did see! Our Sleeping Beauty themed family! Let the trick or treating begin! The kids were off! Jen's neighborhood is pretty much what you see in the movies for Halloween. All adorable and friendly. Us and the kids loved it! 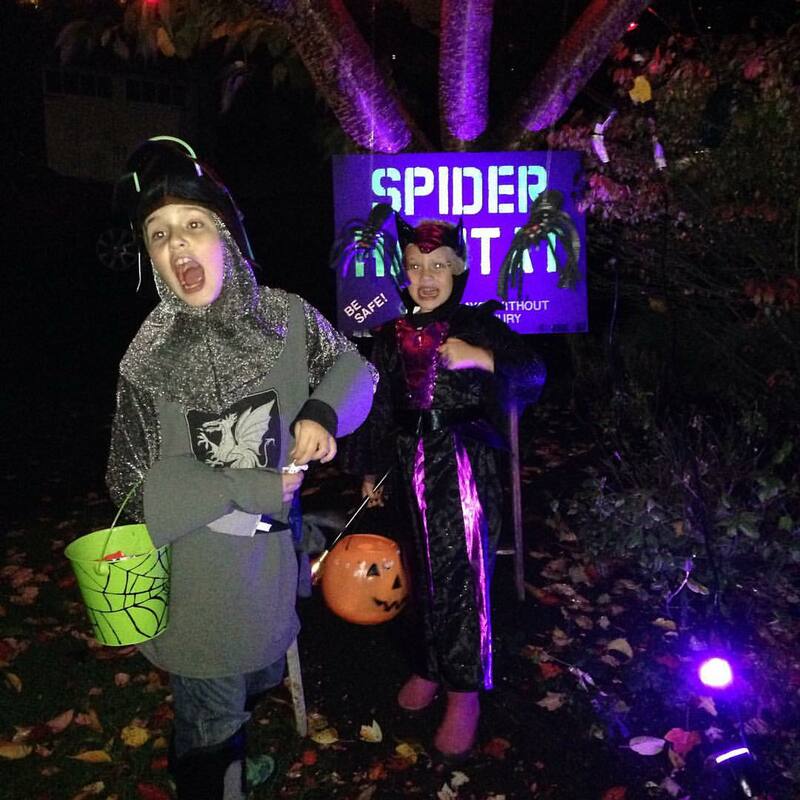 Little crazies racing from house to house collecting as much candy as they could. I think the kids favorite house was this one with scary decorations and spider decor. Preston loved it! It was the only place he willingly took photos! Happy Halloween to all! We ended our night with too much candy and Mexican food, that's a win in my book!